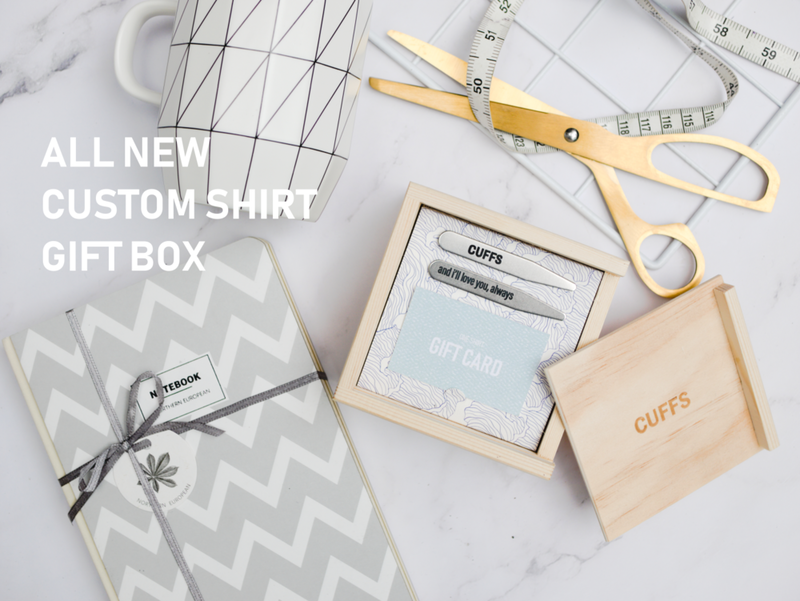 Our custom shirt gift box is the perfect present- memorable, personalised and no stress over sizing. 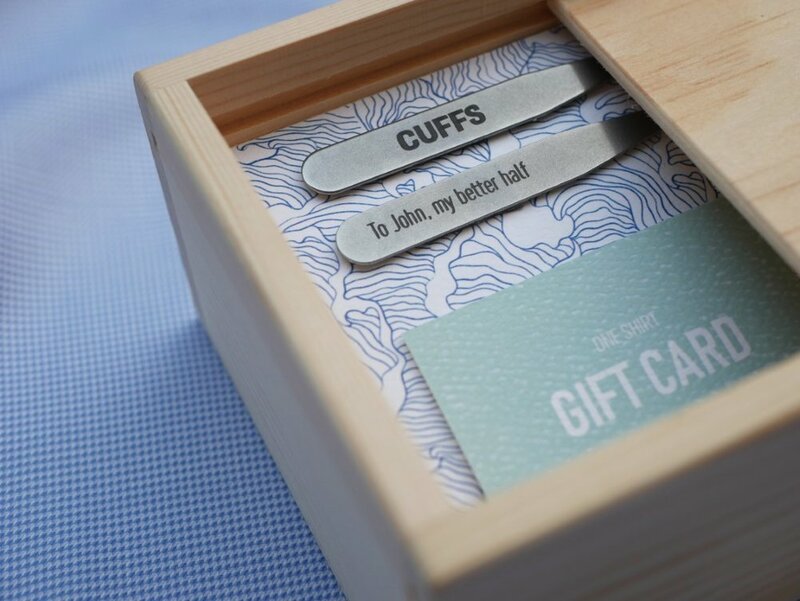 Inside is a set of custom-engraved steel collar stays (inserted into a shirt collar to give it stiffness) and a gift card to redeem a custom shirt at our shop. 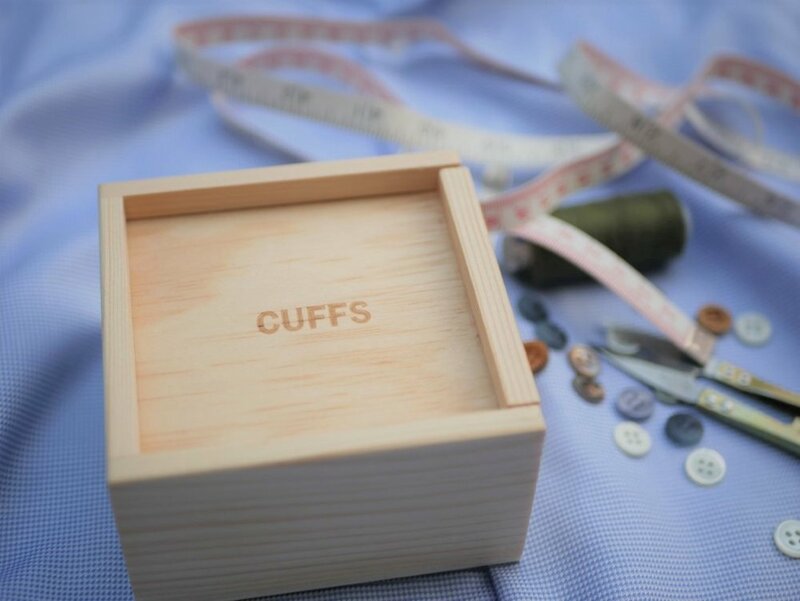 For an extra special touch, we have an option to embroider an additional message on the back of the collar (not visible during normal wear). 1) Recipient brings the gift voucher to our shop to redeem a shirt (he will pick his own fabrics and design, then get measured by our staff).